Meet Battersea Dogs & Cats Home’s very own Cleopatra – who has the beauty and brains of the original, and certainly shares her famous nose. This lovely Staffordshire Bull Terrier called Cleo even has markings that look like dramatic eyeliner, and a coat so white she must have been bathing in milk. While Battersea’s Cleo might not have a barge to sail down the Nile, she still has great aspirations, and longs for the day her new owner comes along, who she can love as much as Cleopatra adored Mark Antony. Today (Tuesday 20 September ), Cleo has been at the animal charity for a year. Most dogs stay for just 48 days before they find a new home, but there is no time limit on how long they can stay. Cleo was brought into the Home by her new owner, who saw her advertised on classified ad website Gumtree, and only had her 24 hours before deciding to give her up. Cleo clearly wasn’t given a chance, as anyone who spends time with her falls in love with her and wouldn’t want to lose her. Just like Cleopatra ruled Egypt, three year old Cleo is now queen of the kennels at Battersea. She has doggy friends in all the kennels, and is a well-known face to staff and volunteers, who she greets as she walks around Battersea. Rehoming and Welfare Assistant Gemma Walton has been caring for Cleo in Battersea’s kennels for several months. She says: "I don’t understand how Cleo has been with us for so long, as she is a brilliant dog. She is very good with other dogs, and she’s affectionate and very well behaved. She is just waiting for the right owner to come along, and when they do, they will get a truly wonderful dog. 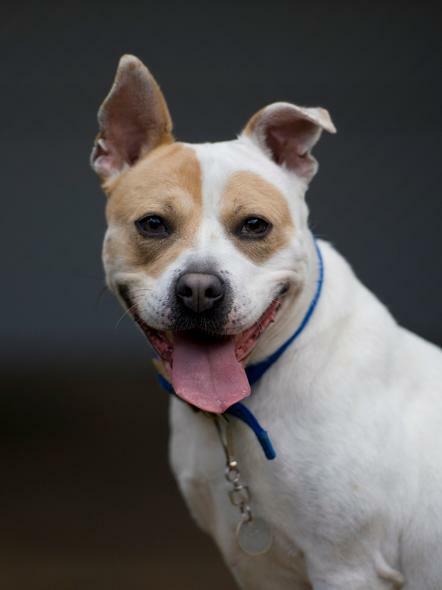 "Cleo is a very skilled dog, who knows lots of commands, including "sit" and “on your bed". She is also very good at agility, which is a dog obstacle course, and she can often be seen enjoying the agility course at Battersea. Cleo is looking for an experienced home in a very quiet location so she doesn't get distracted during her training. She should be happy to be left for short periods if she is provided with something to do. If you think you can offer Cleo a loving home, please contact Battersea’s Rehoming team on 0207 627 9234 or rehoming@battersea.org.uk.